The run will kick-off in early June and goes through the middle of July. The two had performed stadium shows together in 1976, including a show to more than 100,000 rock fans at JFK Stadium in Philadelphia, PA. Frampton will be hitting the road in support of his new studio disc, Thank You Mr. Churchill. This recording, set for an April 27 release, is the follow up to 2006’s Fingerprints which earned a Grammy for Best Pop Instrumental Album. 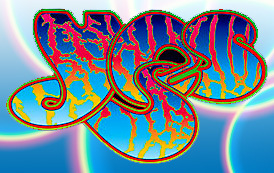 Yes will tour with its latest line-up, which does not include longtime vocalist Jon Anderson or keyboard player Rick Wakeman, both of whom have ongoing health issues. Instead the band features three mainstays: guitarist Steve Howe, bassist Chris Squire and drummer Alan White, along with Wakeman’s son Oliver on keys and Benoit David on lead vocals.